Why fight it, everyone seems to be doing a top 11 list this year instead of just 10, so here’s the books I enjoyed reading the most this last year (in no particular order…) Click on the books for their Amazon.com pages. Steve Jobs Biography – A fascinating look at the life and mind of one of the greatest innovators of our time. It’s a lengthy book, but I couldn’t put it down. 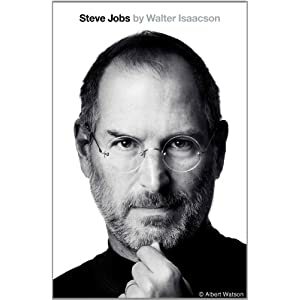 Walter Isaacson does a wonderful job of illustrating all aspects of Steve’s life. As an Apple user I really enjoyed the insights into the principles that drove Steve Jobs, and in turn the company. On a side note… I love actual hard bound books, this was my very first purchase of an eBook on my iPad. Pretty fitting that Steve’s book was my first! 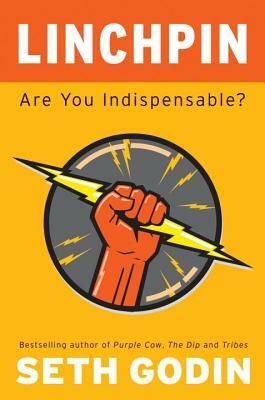 Linchpin – Another great read from Seth Godin! This book is all about you – your choices, your future, and your potential to make a huge difference. To quote Seth, “The only way to get what you’re worth is to stand out, to exert emotional labor, to be seen as indispensable, and to produce interactions that organizations and people care deeply about.” This is a great book if you are looking for ways to build value with your clients, employer… or anyone for that matter! The Art of the Long View – Peter Schwartz takes a interesting look at strategic planning and long-term visioning through the use of scenario building. This book is chock full of great examples of companies whose use of scenario building paid off in the real world. Schwartz walks you through the scenario building process step by step so you can easily implement his principles into your own long-term planning. Made to Stick – This book, by brothers Chip & Dan Heath, takes a look at why some ideas survive and others die. They examine what it takes to improve the chances of worthy ideas surviving. They reveal the anatomy of ideas that stick and help you transform they way you communicate your ideas. Learn to apply principles like the “Velcro Theory of Memory” and creating “Curiosity Gaps”. It’s also full of great real world examples. Crush It! – Gary Vaynerchuk’s breakthrough book is always a fun quick read. Gary focuses in on how to cash in on your passion. Speaking of passion… Gary is the king of passion and it shows throughout this book. My favorite chapter is actually the shortest chapter of the book… # 7 – CARE! This book will get you pumped up and excited to both identify your passion and build on it to be more successful in every aspect of your life. Surviving Your Serengeti – This was probably one of my most favorite books of the year, because it really became an interactive experience. Stefan Swanepoel crafted an excellent safari adventure that took a look at seven unique skills found in the animals of the Serengeti and then applied them to everyday life. He took it a step further with a “What Animal Am I” quiz and is ready to launch workshops based on the lessons learned in the Serengeti. I was fortunate to attend the two beta tests of the workshop held here in Utah. It’s an awesome program! Outliers – Malcolm Gladwell has a great track record with “Tipping Point” and “Blink”. He certainly doesn’t disappoint with “Outliers – The Story of Success”. Gladwell takes a unique perspective in this book by looking less at what successful people are like and turns the focus into where they are from by examining their culture, their family, their generation and upbringing. He looks to real world examples of the Beatles, software billionaires, athletes, and many more! What the Dog Saw – Sticking with Malcolm Gladwell for one more enjoyable read! This book is actually a compilation of intriguing and interesting interviews that Malcolm conducted over more than a decade for The New Yorker. The scope of this book ranges from why are there dozens of varieties of mustard-but only one variety of ketchup to what do football players teach us about how to hire teachers to what does hair dye tell us about the history of the 20th century? A very entertaining read! Trust Agents – Is a great examination of using the web to build influence, improve reputation and earn trust. Chris Brogan and Julien Smith delve into how the internet has changed the way we do business. They show you how social networks and personal connections are playing a greater role in business success than marketing messages ever will. Full of strategies and tools to help you implement the art of being a “Trust Agent”. 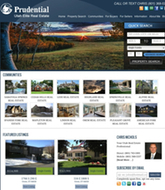 Always Looking Up – We all know Michael J. Fox, but do we really? This book takes a look at the last decade of his life and his battle with Parkinson’s Disease. By recognizing the gifts of everyday life, Fox has found the key to being a happier, more satisfied person, in-spite of the tremendous challenges he faces with Parkinson’s. The subtitle to the book sums it up well, “The Adventures of an Incurable Optimist”. A great lesson we could all learn from. Well there’s always this year! Happy reading! This entry was posted in Life and tagged 2011, books, Chris Nichols, favorite, reading. Bookmark the permalink. Chris – A good list indeed. We have three books in common among our “Suggested Book Reads” list. I have read quite a few of these that you had on your list (Vaynerchuk, Gladwell, Sawepoel) and will look to check out a few others. None of those were on my list this year – but of course, you’re right when you say that there’s always this upcoming year. Of course, should I be pressed for time, which three do you think should I go for? Chris, thanks for sharing your insight. Great list! We have common interests and I have read a lot of these books, but will check out Seth’s Blog and Surviving Your Serengeti. Will also pick up Micheal J. Fox’s book. Thanks for including my book, Surviving Your Serengeti, on your list with so many other great books that I too have enjoyed!